The Chase Sapphire Reserve℠ credit card is the best travel card on the market despite stiff competition from The Platinum Card by American Express® and the Citi Prestige Card. There was a lot of hoopla around the card when it first launched and it deserved every bit of the fanfare. The combination of a generous sign-up bonus and ongoing benefits are simply unmatched. The annual fee is fairly steep, costing you $450, but as we will see the annual benefits offset that largely. It turns out if you spend more than about $3,333 annually, you should come out ahead. The bottom line is if you travel frequently and dine out often, the Chase Sapphire Reserve℠ credit card is a virtual must-have in your wallet. Is The Chase Sapphire Reserve℠ Credit Card Right For You? What Are The Chase Sapphire Reserve℠ Credit Card Perks? How Do Chase Sapphire Reserve℠ Credit Cards Stack Up? What Are The Chase Sapphire Reserve℠ Credit Card Fees? What Are The Chase Sapphire Reserve℠ Credit Card Pitfalls? 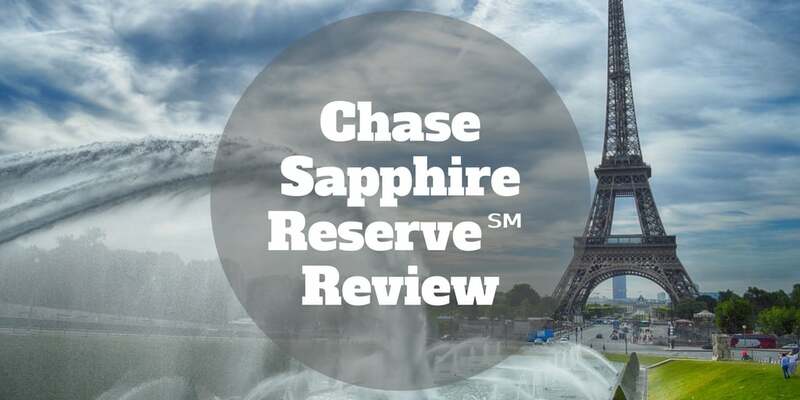 Chase Sapphire Reserve℠ – What Are The Benefits? Chase Sapphire Reserve℠ rewards you with 3 points for each dollar spent dining out and traveling, as well as 1 point for all other purchases, plus 50,000 points to sign up. If you eat out regularly and travel often, the perks are well worth the $450 annual fee. You earn an instant $300 travel credit annually, so the real cost of the card for frequent travelers is reduced by two thirds to $150. Plus, each dollar spent on travel and dining is worth 3 points, meaning if you spend $15,000 annually, you will receive 45,000 points that are valued at $675 (when redeemed via the Chase online portal). Chase Sapphire Reserve is designed for the frequent traveler who does not wish to be bound by a loyalty program to any specific airline or hotel chain. If you travel a lot but don’t always use the same hotel chain or fly with the same airline, Chase Sapphire Reserve℠ is for you because Chase doesn’t require you to be loyal to any specific airline or hotel to earn maximum points. 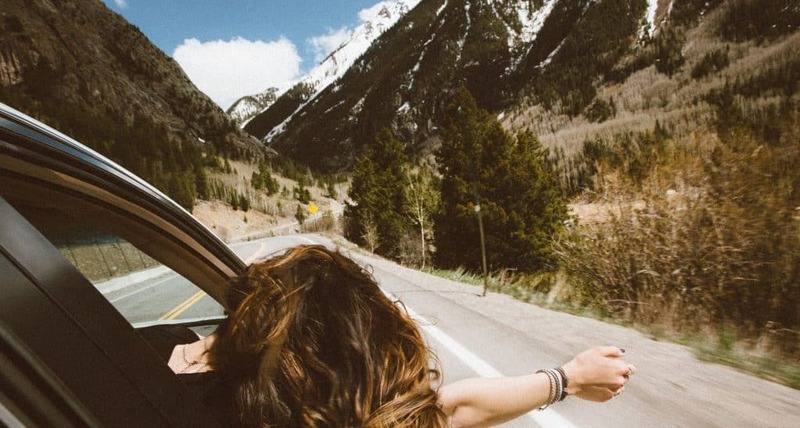 Travel costs that earn maximum points include everything from standard air fares and hotel bills to paying for Ubers to and from airports and staying in an AirBnB. The annual fee of $450 is steep but the sign-up bonus covers your first year of membership. Keep in mind that you will need to spend $4,000 within the first 3 months to qualify for the 50,000 bonus rewards points. And while you might intuitively expect that 50,000 points will convert to $500, the hidden benefit is that they are worth 50% more when you redeem them via the Chase Ultimate Rewards® portal so you can earn $750 worth of travel credit. All other purchases earn 1 point for each dollar spent, so if you do not dine out often or travel frequently other cards will be a better fit. To earn the maximum rewards rate of 4.5% using the Chase Sapphire Reserve℠ credit card, you can book travel on the Chase Ultimate Rewards® portal using 3x points you earned from dining and travel. At first glance, it seems like the most you can earn is 3 points for each dollar spent on dining and travel using the Chase Sapphire Reserve℠ card. When you crunch the numbers that means if you spend $20,000 during the year on eating out and flying, you will receive 60,000 points. And you can cash these points in for $600 if you wish. But to earn maximum rewards, the best option is to redeem the points in the Chase Ultimate Rewards online portal. When you use your points to book travel through the portal, your points are worth an extra 50% more, so instead of getting $600 worth of cash value, you could enjoy $900 worth of travel rewards. In short, it turns out every dollar spent on dining and travel translates to 3 points, which in turn is valued at 4.5 points when redeemed via the online portal. So in essence, you enjoy a 4.5% rewards rate. In the example above where you spent $20,000 and earned 60,000 points, you would be eligible to use a whopping 90,000 points, worth $900, for booking travel via the Chase Ultimate Rewards® online portal. Get free access to 900+ airport lounges worldwide and $100 credit to pay for a Global Entry card. Beyond the headline benefits, Chase offers other perks that offset the annual fee charge. When you apply for a Global Entry card, which lets you fast track through customs when returning to the U.S.A. from abroad, or TSA PreCheck to fast track through domestic travel lines, you receive a $100 credit that is applied every 4 years. You also get free access to approximately 900 airport lounges worldwide with your complimentary Priority Pass Select card. Plus, you earn $300 in travel credits each year for airfares and hotels that you pay for with your Chase Sapphire Reserve℠ card. There are lots of hidden benefits too that you wouldn’t ordinarily stumble upon from one day to the next, but are well worth checking out. This perk is limited to 4 times annually. Baggage delay insurance Get reimbursed up to $100 for 5 days for essentials, such as toiletries if baggage is delayed by more than 6 hours. Car Rental Insurance Receive up to $75,000 for theft or collision by charging your rental car cost to your card. You can effectively decline the auto rental collision damage waiver offered by rental car companies. Trip Cancellation Insurance Get reimbursed up to $10,000 for trip cancellations or interruptions due to severe weather or sickness. Lost Luggage Enjoy coverage of up to $3,000 per passenger for lost or damaged carry-on or checked luggage. Trip Delay Get reimbursed up to $500 per person for unreimbursed expenses, such as lodging and food, when a carrier is delayed by more than 6 hours. Travel Accident Insurance Coverage of up to $1,000,000 is provided for accidental death or dismemberment when you pay for a bus, train, flight, or cruise fare with your card. Emergency Assistance Services Call the Benefit Administrator for travel and emergency assistance when you need legal or medical referrals. Like The Platinum Card from American Express, you enjoy complimentary concierge services with the Chase Sapphire Reserve℠ card. Worldwide travel assistance If you need help booking travel, you can call Chase Travel from anywhere. Visa Infinite concierge services You may be able to get access to restaurants that would otherwise be hard to book or concerts that have limited ticketing availability, or other events where tickets may be hard to come by calling concierge services. 24/7 customer service support Need a new card? Call Chase anytime for anything related to your account. You automatically enjoy purchase protection from theft or damage up to $10,000 per claim for 120 days when you buy with your card. The limit is up to $50,000 per year. Price protection Get reimbursed up to $500 per purchase with a limit up to $2,500 per year when you pay for an item (with your card) that subsequently is advertised at a lower price online or in print. Extended warranty When you buy an item with warranty protection of 3 years or fewer, you enjoy an additional year of extended warranty protection. 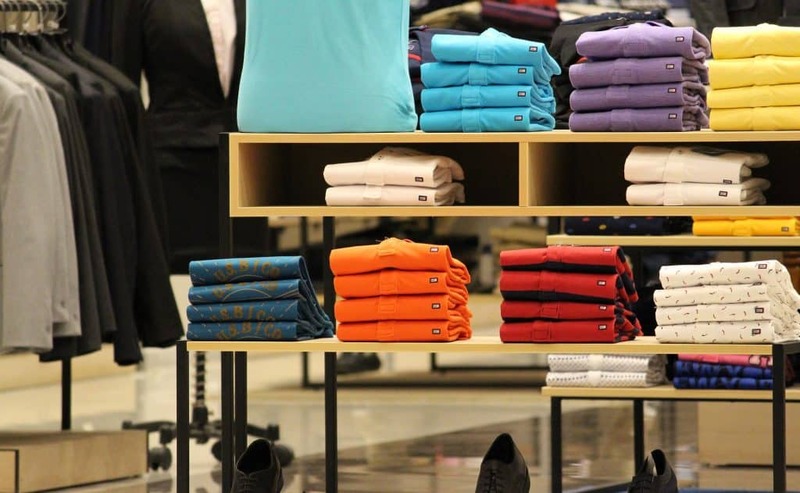 Return protection Get reimbursed up to $500 per item with a limit of $1,000 per year when a store won’t take back eligible items within 90 days of purchase. As a Chase Sapphire Reserve℠ credit card holder, you enjoy hotel perks, such as early check-in and late check-out at qualifying hotels as well as accelerated 5C status. Elite hotel benefits at Relais & Châteaux properties Book through Visa Infinite Concierge with your card, and stay at least 2 nights over a 12 month period to qualify for 5C status, which makes you eligible for room upgrades or complimentary benefits. Enjoy custom dining experiences with the Chase Sapphire® Visa® Private dinner series as well as the Roxy Suite at Radio City® for the Christmas Spectacular® and preferred seating at Madison Square Garden. Chase Ultimate Rewards® points can be transferred on a 1:1 basis to partners, and if it makes economic sense, you can pay for travel via partner websites, or encash your points. It means if you have 1,000 Chase Ultimate Rewards® points, they will equal 1,000 partner miles or points. If you choose to transfer points, you will lose your 50% bonus available by redeeming points for travel via the Chase portal. Imagine you see a deal to fly from New York to London on British Airways for 40,000 miles, or $400, but when you look online it costs $650 cash for a roundtrip ticket. 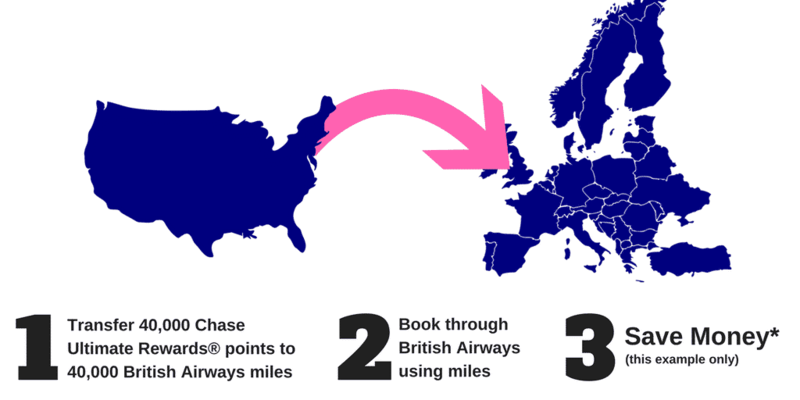 It makes smarter financial sense to use miles instead of paying in cash for the flight, so the best next step is to transfer 40,000 Chase Ultimate Rewards® points to 40,000 British Airways miles. Then simply book the flight on the British Airways website to get the deal! Chase Sapphire Reserve℠ and The Platinum Card from American Express and the Citi Prestige Card all cost $450 annually, but the sign-up bonus at Chase is higher. Compared to The Platinum Card from American Express, the Citi Prestige Card, Chase Sapphire Reserve℠ has a higher percentage rewards rate. Chase Sapphire Reserve℠ is designed for users with good credit who travel frequently and eat out often. If you have a high balance transfer, a poor history of paying on time, or low credit, other cards will be a better fit. ✅ 3X Points Dining & Travel: Each dollar spent dining at restaurants and on airfares or travel earns 3 points. ❌ $450 Annual Fee: The annual fee is high, though the $300 annual travel credit offsets two thirds of it. ✅ 50% Bonus Points: Points redeemed for travel via the Ultimate Rewards Points online portal are worth 50% more, which translates to a 4.5% rewards rate. ❌ No 0% Balance Transfer: Other cards, such as the Discover It® 18 month Balance Transfer card, are a better fit if you have a high balance transfer. ✅ 1X Points All Other Purchases: Earn a single point for every dollar spent on all other purchases. ❌ High APR: The variable APR rate is high and ranges from 16.99% → 23.99%. ✅ $300 Travel Credit: Whether spending money on airfares, taxis, or even ride-sharing platforms, you enjoy an annual $300 travel credit. ❌ Late Fees: If you have a balance over $250 and pay late, you will be dinged a hefty $37. A return payment fee also incurs a penalty fee of $37. ✅ No Blackout Dates: Redeem points all year-round – unlike using airline miles to book tickets, which can otherwise be difficult due to blackout dates. 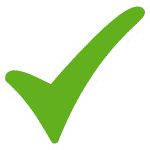 ❌ Only Good Credit Users: Users with credit ratings north of 700 are targeted while any users who opened more than five credit cards over the previous 24 months are rendered ineligible. ✅ No Foreign Transaction Fees: When you travel abroad, you won’t incur any foreign transaction fees. ✅ Travel Protection: Luggage that is lost, damaged, or delayed, as well as flight delays beyond certain threshold timelines are eligible for reimbursements. ✅ Concierge Services: Get seated at hard-to-book restaurants with 24/7 concierge service, and get VIP access to sports and entertainment events. ✅ Easy Points Redemption: Log on to the Chase website, click Use Points, and you will be prompted through easy-to-follow steps to redeem cash rewards or exchange for travel or other credits. ✅ Free Airport Lounge Access: Get free access to over 900+ lounges worldwide with Priority Pass Select, a complimentary membership (valued at $399) you enjoy as a cardmember. Late fees and return payment fees are steep at Chase, so you will want to make sure you create a calendar note to remind yourself to pay promptly each month. You will also be charged $37 for a returned payment fee. Also, if you need a cash advance, you may wish to cash in any points you have or use a debit card because the interest rate is very high (25.49%) if you use your card. The high annual fee and need to have good credit are among the biggest Chase Sapphire Reserve℠ card customer complaints. 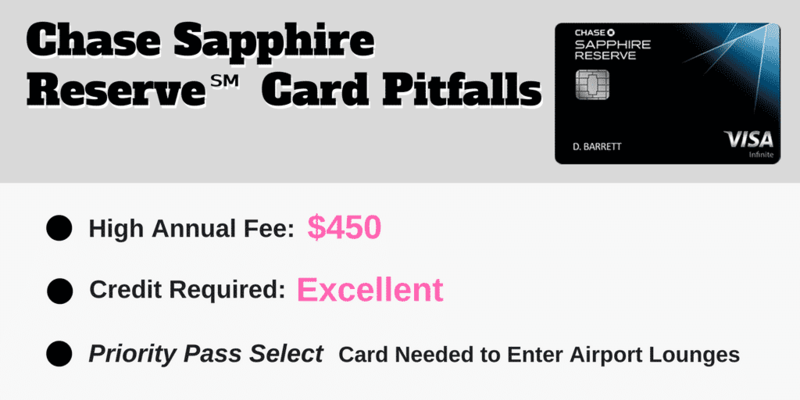 The main customer gripes about the Chase Sapphire Reserve℠ card are the hefty annual fee of $450, the need to have good credit in order to qualify, and the requirement to use a separate card, the Priority Pass Select membership card, in order to access lounges. The flagship benefit is 3% rewards on travel and dining out but with the 50% point conversion boost when redeemed through the Chase Ultimate Rewards online portal, a 4.5% rewards rate can be enjoyed. If you spend more than about $4,000 annually on dining out and travel, the Reserve is the better bet. The best way to compare the Chase Sapphire Reserve℠ vs Chase Sapphire Preferred credit cards is to use a free financial mobile app like Personal Capital’s to quickly find out how much you spend on travel and dining monthly. The Preferred card will reward you with 2X points for travel and dining but only costs $75 annually compared to the Reserve which rewards you with 3X points but costs $450 annually. 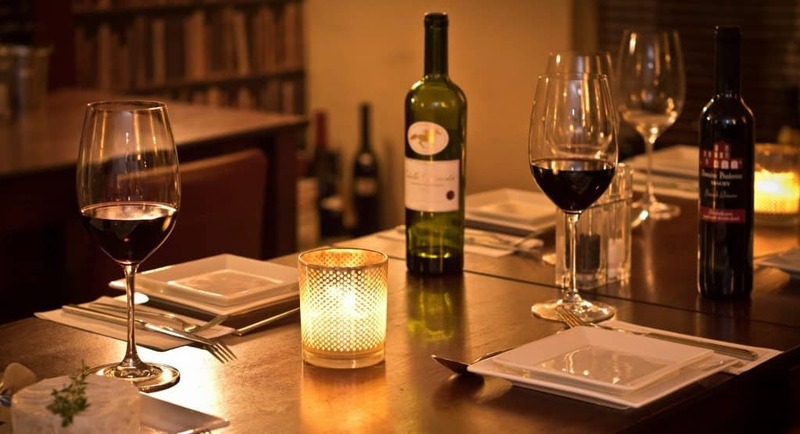 So, if you eat out very little and travel less frequently, the Preferred may be a better deal, but the Reserve is a smarter choice for restaurant explorers and plane-hoppers. If you spent $1,000 on travel and dining, the Reserve would reward you with 3,000 points which translates to $30 of cash back or $45 worth of travel credits. The same amount spent on the Preferred card would lead to $20 cash back and $20 in travel credits. Once you get above approximately $4,000 per year in spending on eating out and travel, the Reserve becomes the better deal – not only because you earn more points per dollar spent but also because of the 50% boost in travel credit you enjoy when you book on Chase Ultimate Rewards portal. The Chase Sapphire Reserve℠ credit card is designed for users with good credit of 700 and above, so if you have used five or more credit cards in the past 24 months, you will not be eligible for the card. If you are on the fence wondering whether the Chase Sapphire Reserve℠ card is worth the cost, you can jump off it now because, as travel cards go, it ranks among the very best. At first glance, the $450 annual fee seems high, but the first year is fully paid for with the sign-up bonus, and the ongoing cost works out to be just one third that amount when you factor in the $300 travel credit. Are the other benefits worth the remaining $100 cost? Even if you ignore the 50% point bonus when redeeming travel through the Ultimate Rewards Points online portal, as well as the $100 credit for global entry or TSA PreCheck and insurance and protection reimbursements, you need to spend a relatively modest $3,334 on travel and dining each year to breakeven. Keep in mind that you must spend $4,000 in the first 3 months to earn the sign-up bonus but ongoing only $3,334 of spending is needed to get beyond breakeven. The bottom line is you are a traveler and eat out often, you will find this card hard to beat! 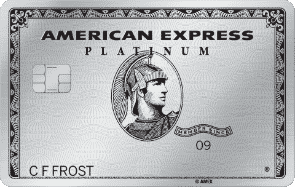 Disclosure: Information related to the Chase Sapphire Reserve℠, Citi Prestige Card, and The Platinum Card from American Express has been collected by Investormint and has not been reviewed or provided by the issuer of this card. ‹ Clink App Review 2019 – Microsavings Made Easy?